Tesla Motors on Friday said it was recalling over 400 of its battery-powered Roadsters because of the risk that a power cable in the vehicle could short and catch fire. Palo Alto, California-based Tesla said it had received a report of a single case where a 12-volt cable in the vehicle had chafed against a panel in the vehicle, causing it to short. The cable then began smoking and may have caught fire in an area behind the front headlamp, Tesla said. The 12-volt cable targeted under the recall supplies power to a number of auxiliary systems in the vehicle, including its lights, turn signals and airbags, Tesla said. Tesla has begun to notify Roadster owners of the defect. The company plans to dispatch its service teams to the homes or offices of owners to complete the needed repair. That will involve checking the placement of the cable and then installing a protective sleeve over it to keep it from shorting, Tesla said. The recall is the second for Tesla on its Roadster, a $109,000 car on a Lotus platform that is powered by a battery pack stitched together from over 6,800 laptop batteries. 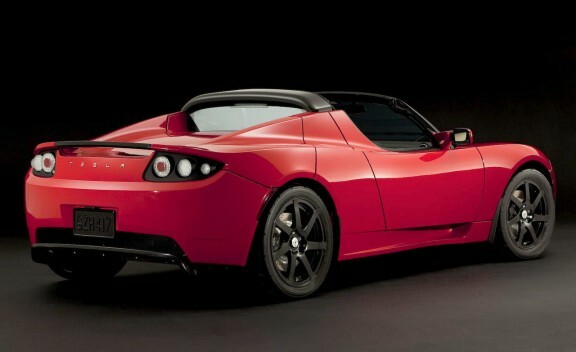 Tesla said the recall announced on Friday would affect 439 Roadsters sold under the 2.0 and 2.5 model names. The recall does not involve the main battery pack or power system on the Roadster, Tesla said. U.S. safety regulators have been notified of the recall, Tesla said. It was the second recall ever for the Roadster and the first since the company's June IPO. In 2009, Tesla announced a recall for 345 Roadsters because of a potential handling issue caused by a manufacturing problem at Lotus. Tesla has a deal to supply batteries for an all-electric version of the Toyota RAV4 expected to launch in 2012. Managing the safety of the power systems needed to drive a coming wave of electric vehicles has been a major focus for automakers including Tesla, General Motors and Nissan. Tesla on Friday ended trading up 1 percent at $20.60 per share. The stock is down almost 14 percent since its first full day of trading in June.